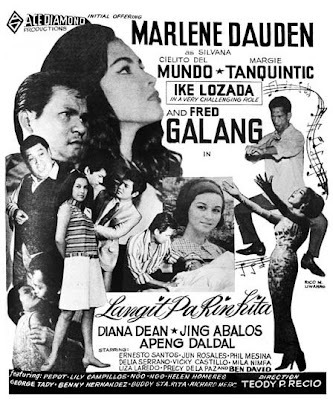 Marlene Dauden is considered one of the greatest Filipina drama actresses of all time. 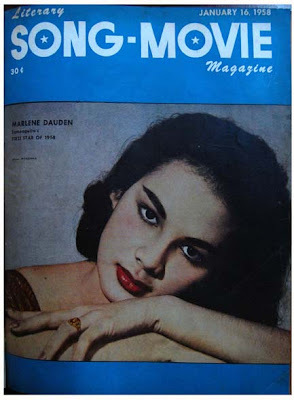 She achieved her legendary status as a film thespian during her film career that spanned from the 1950s up to the 1970s. 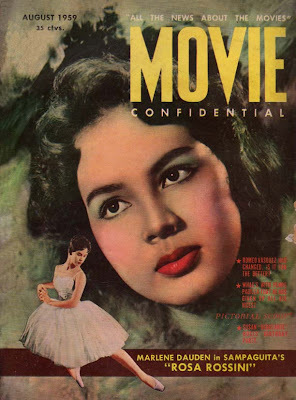 During the height of her fame, she was one of the most bankable stars of Sampaguita Pictures, which used to be one of the leading Philippine movie studios of the era. 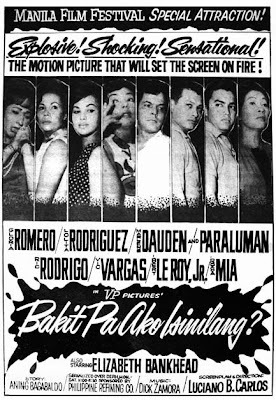 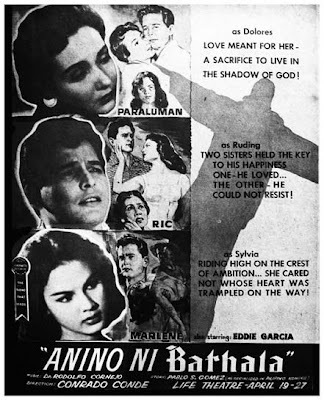 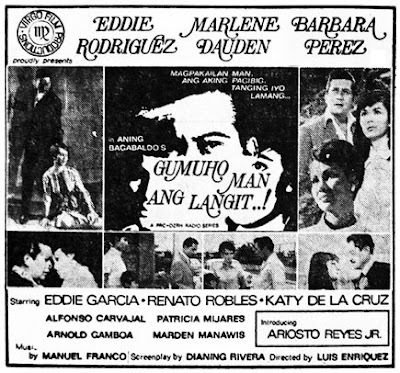 Marlene started out doing bit parts until she was cast in heavy supporting roles such as the black sheep sister of Paraluman in Anino ni Bathala in 1958, where she won her first the FAMAS Award. 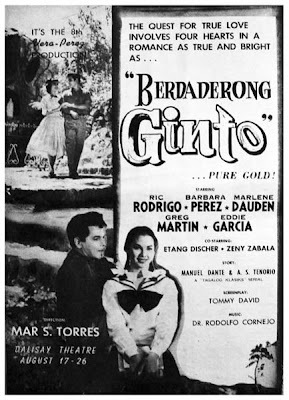 With her newfound popularity and her recent FAMAS victory, she was then cast as the lead star in her first leading role in the movie Rosa Rossini. 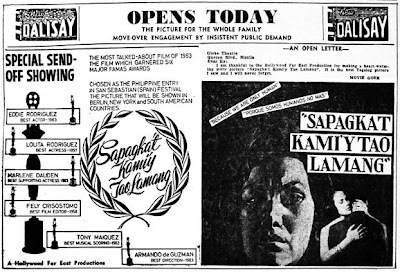 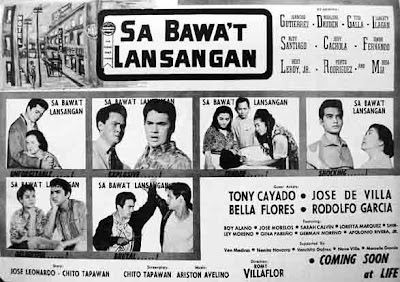 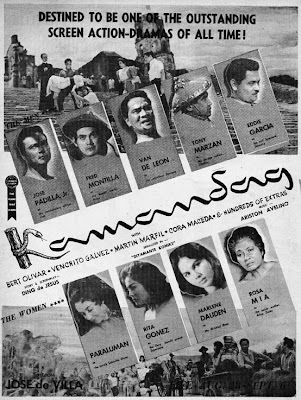 After Sampaguita Pictures declined in the 1960s, she became a freelance actress, giving her more freedom to choose more challenging dramatic roles and winning awards in the process. 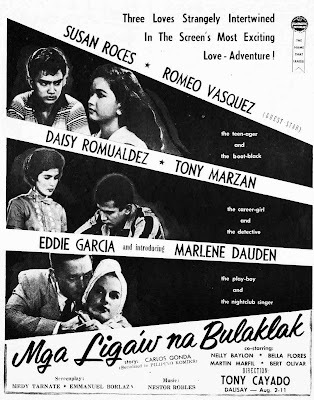 Marlene will forever be remembered in Philippine film history as the first Filipino thespian ever to win five acting awards from the FAMAS, which was the only film award-giving body in the Philippines during her time. 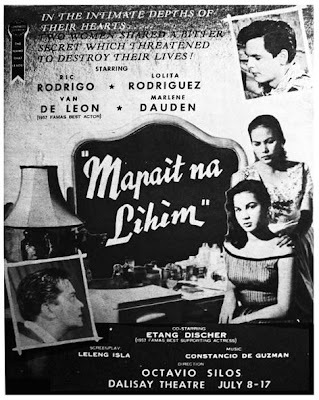 She won Best Supporting Actress for her roles in the films Anino ni Bathala, Kamandag and Sapagka’t Kami’y Tao Lamang. 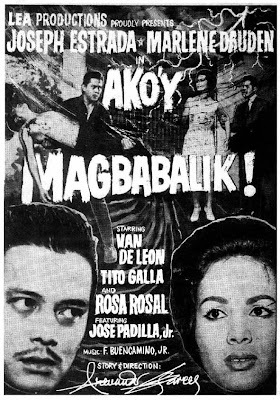 (The latter was said to be her favorite film of hers.) 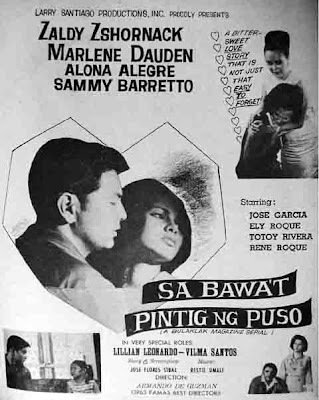 She also won two Best Actress awards for the films Sa Bawa’t Pintig ng Puso and Kapag Puso’y Sinugatan. 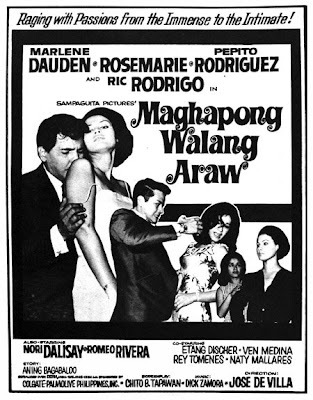 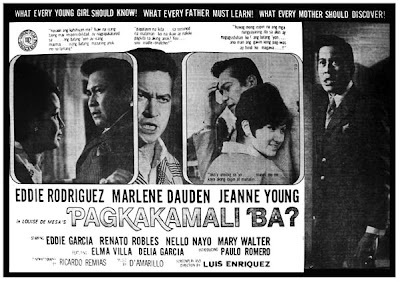 Marlene made her last film in 1978 entitled Kung Kaya Mo, Kaya Ko Rin with Christopher de Leon, after which she migrated to the United States. 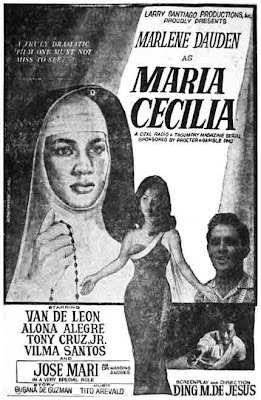 She is currently married to former basketball star Ernesto Hernaez, with whom she has three children. 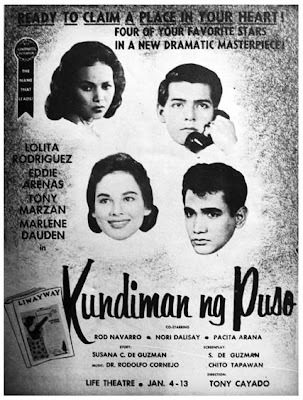 They now reside in California, where Marlene runs a lumpia business while working as a medical office manager. 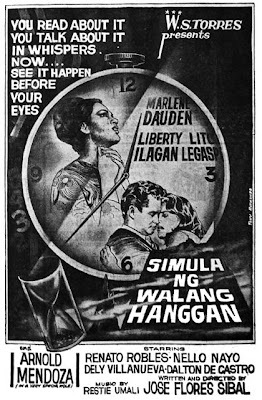 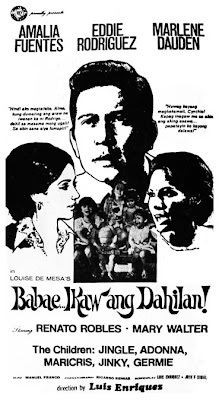 I saw two films starring Marlene Dauden and I think she portrayed her roles on both of them quite competently: MILAROSA from Larry Santiago Productions, based on Aning Bagabaldo's DZRH Radio Serial; and ALIPIN NG BUSABOS, a Mars Ravelo Bulaklak Magazine serial, also from Larry Santiago Productions.